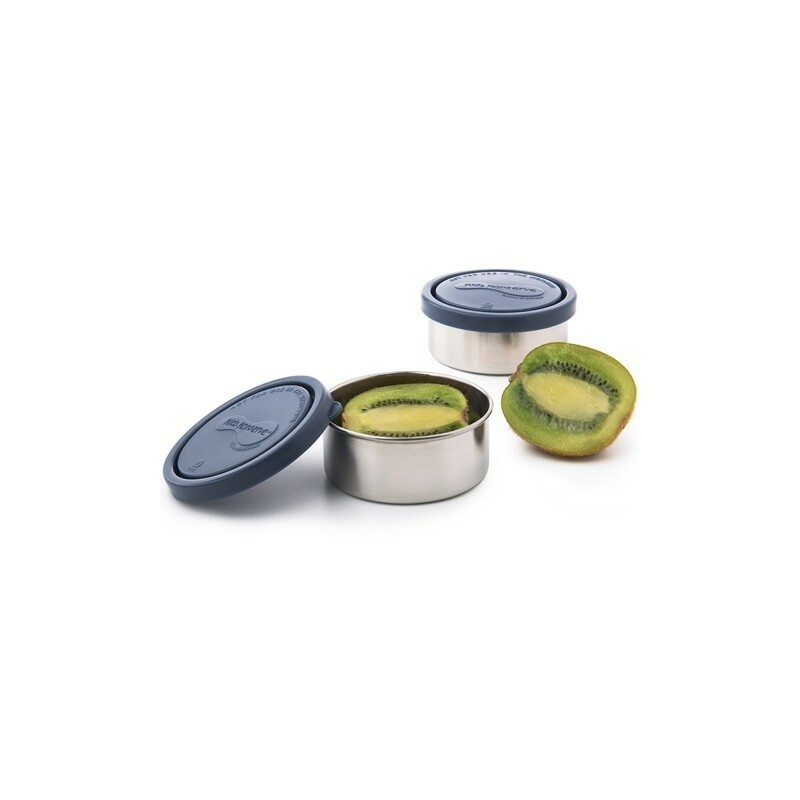 U Konserve stainless steel food containers with leakproof lid. BPA free, lead free, PVC free and phthalate free. Reusable and safe! Ocean coloured lids - 145ml/5oz capacity. 2 pack. By encouraging the next generation to reuse! These little containers are the perfect solution for packing fruit, snacks and more. Ocean (navy blue) coloured lids. 2 pack. 145ml/5 oz capacity. 9cm x 3.5cm. Dishwasher safe. Should you experience the appearance of "rust" on any stainless steel product, it is more than likely a discoloration or harmless residue left behind from the electro-polishing process. Buff it out with a heavier kitchen scrub brush. US company. U Konserve products are made responsibly in China or India. Browse our other Kids Konserve products. The most perfect snack pots to replace plastic ones, love them and they are a great size, very handy.